A custom created blue spandex and silk sleeveless crystal encrusted shirt with zipper side closure and velcro at waist to keep shirt in place during performance. 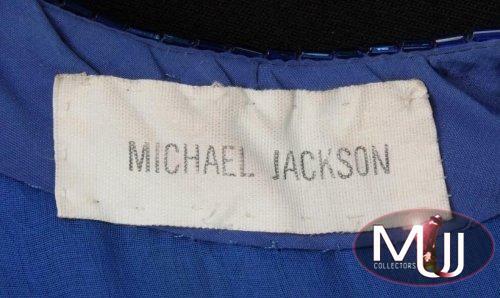 The inside of the neck contains a tag reading simply "Michael Jackson." 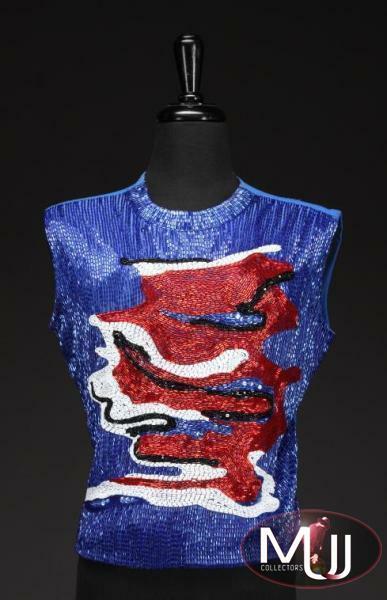 The front of the shirt is covered in thousands of red, white, blue and black bugle beads in an abstract, amorphic design. 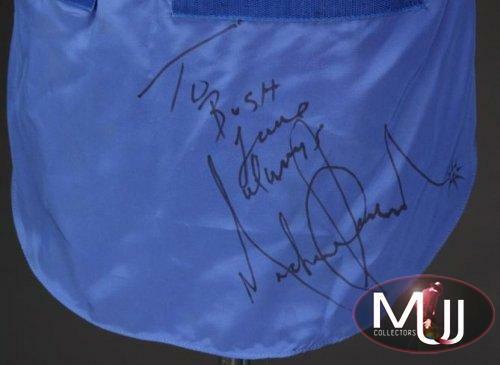 The front tail of the shirt is signed in black marker, "To Bush Love always Michael Jackson." 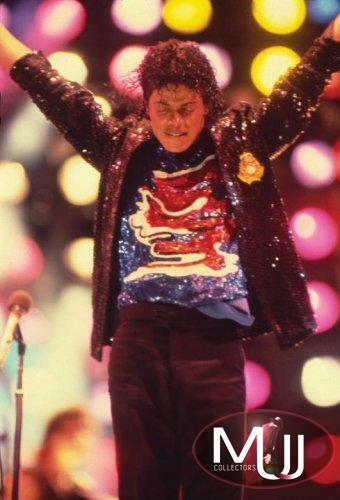 This iconic shirt was worn by Jackson throughout the 1984 Victory tour with his brothers, Michael Jackson donated all of his earnings from this concert, five million dollars, to various charities.